Finding private money in Florida can be a difficult and daunting task to do on you own. The terms, requirements, fees and restrictions for private money vary from lender to lender. If you find yourself, struggling to find a private money lender you have come to the right place. At BridgeWell Capital, we network real estate investors directly with private money sources that can provide you the financing for your residential real estate investment projects. Whether you are planning to buy-fix-sell, buy-fix-rent, or refinance your property, our private money loans are offered under simple and flexible fees and affordable terms. One of the great advantages of our private money lending program is our easy approval process. If you have ever applied for a loan, you may have found that banks and conventional lenders will automatically deny loans if you have damaged credit, if you are self-employed, have had foreclosures or short sales. Even if you were approved, you would have to wait for weeks or even months before you can have access to your investment capital. Then, you would realize it is too late. The truth is, Florida’s real estate market is changing, and it is changing fast. Deals come and go quickly, so you need to make sure you have access to investment capital whenever you need it, not when your lender dictates. One of the benefits of our private money loans is our ability to quickly fund your deals. Within as little as 7 days you will have the investment capital you need, so you can easily close your deals. As far as qualifying for a private money loan, BridgeWell Capital understands that many real estate investors today have damaged credit, are self-employed and have had foreclosures or short sales. However, we also understand that many of these investors have solid income, a significant down payment, a good residential investment property and a good chance to succeed in their investment projects. Because your success is in our best interest, we also offer very flexible and competitive loan terms. We can fund up to 80% LTV and you can keep the loan for up to 30 years. So if you are planning to purchase investment properties anywhere in Florida, BridgeWell Capital is your best choice. Call us today or get started now. More closed sales, higher median prices and the continued stabilization of the housing inventory has brought a positive outlook to the real estate market of the Sunshine State. During the years since the 2008 recession, which affected the whole country, Florida is one of the states showing the most promissory signs of recovery. The strengthening of the housing market and the positive momentum gained has increased the confidence of investors and drawn back the buyers into the real estate arena. Although the large amount of foreclosures during the 2008 recession are still holding down the home prices, prices are steadily higher. This is partly because the increased demand is much higher than the rate of foreclosures, which is significantly dropping every month. As a result, real estate investors in Florida can find exceptional deals, improving home equity, and a large demand from residents that had their homes foreclosed. For the investor that wishes to invest in Florida, this represents a great opportunity to take advantage of. As real estate investors begin to see the momentum in the Florida market, they are starting to list their properties for sale. 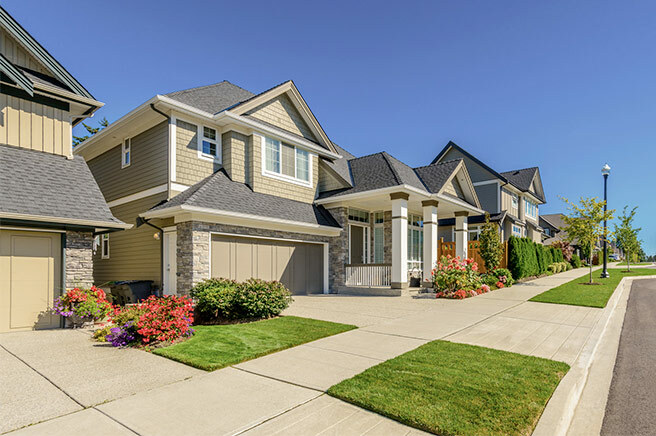 One of the best segments for sellers in the market is the single family detached homes, with a 15.9% increase in sales price in 2013, compared to the previous year. The increase in supply and demand has made Florida one of the hottest markets in the country. The strong comeback during recovery brings great expectations in the near future. Florida is definitely a market to watch for. If you are looking to invest in Florida, BridgeWell Capital is here to help. We can provide you with the private money you need to fund your deals. It’s fast, it’s easy, cost-effective and best of all, just a call or a click away. The long-term economic and demographic growth trends continue to favor Florida as an investment destination for many real estate entrepreneurs. In 2010, economists forecast that Florida will be the third most populated state in the country. This is to be expected, since Florida has been among the top 10 the fastest-growing states in the country for the past 10 years. In effect, the population growth will not only positively impact economic development, such as new jobs and growing incomes, but will also impact the real estate market. The population growth in Florida stands to benefit from both the above-average foreign immigration and the growing number of seniors choosing Florida as their retirement destination. As a matter of fact, according to the Bureau of Economic and Business Research, the net number of immigrants (domestic and foreign) is projected to be 101,000 per year between 2010 and 2015, and between 284,000 and 296,000 every year thereafter. This represents a great opportunity for real estate investors in Florida, and a great reason to start investing now.